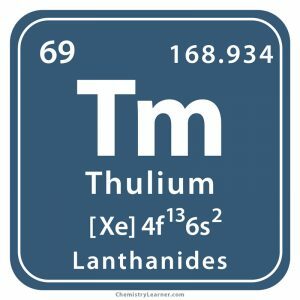 Thulium (pronounced as Thoo-lee-em)  is a soft, silver-gray rare earth metal  belonging to the Lanthanides group and represented by the symbol Tm . While its most abundant, naturally occurring isotope is 169Tm, it has 34 radioactive isotopes, out of which the most stable one is 171Tm with a half-life period of 1.92 years . Thulium is found in small quantities in monazite, a mineral that has approximately 20 parts per million (ppm) of the metal in the earth’s crust . It is then commercially extracted through ion-exchange and solvent-extraction processes . The element can as well be isolated through calcium reduction of anhydrous fluoride or by reduction of oxide with lanthanum . While the top 3 thulium producing nations are China, Russia, and Malaysia, the top 3 thulium reserve holders are China, CIS Countries, and Russia . Origin of its Name: It is named after Thule, the ancient name that stood for the present-day Scandinavia [1, 2]. Who discovered it: The Swedish chemist Per Teodor Cleve is credited for the discovery of thulium . 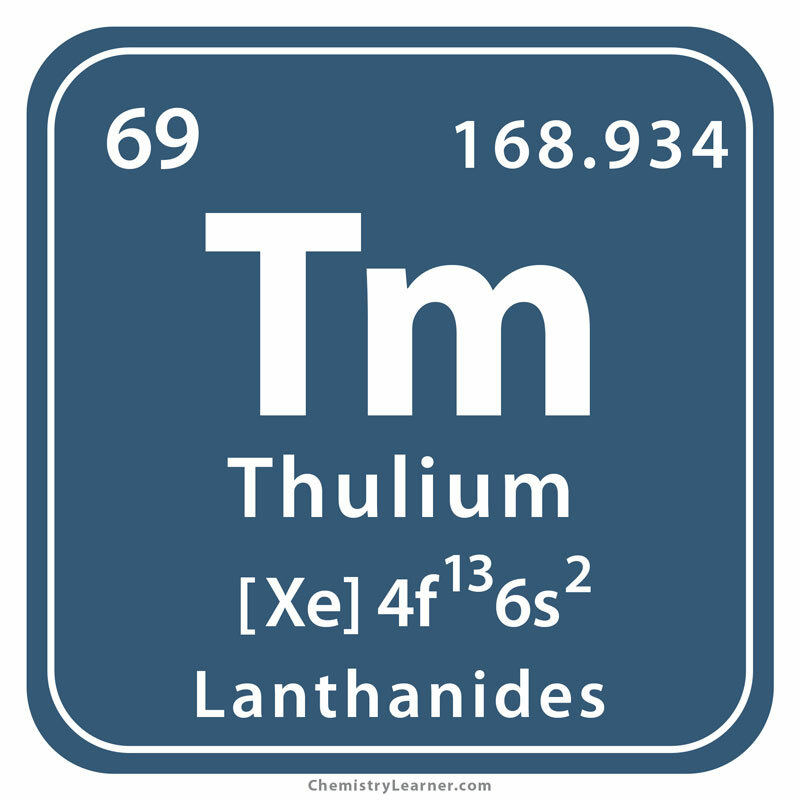 Men started finding the lanthanoids or rare earth elements in 1794 when yttrium was found by Johan Gadolin . Later, the chemists analyzed the composition of yttrium and observed that it was contaminated with chemically similar elements . As a result, two new elements terbium and erbium were isolated in 1843 . 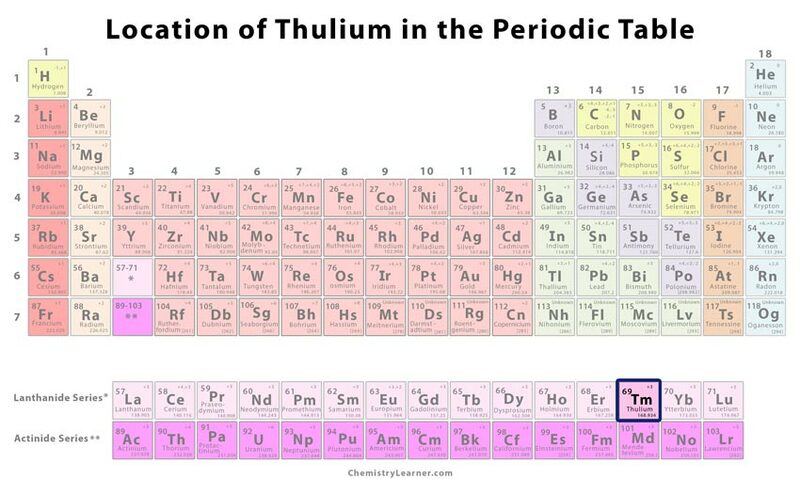 Per Teodor Cleve started working on erbium in 1874 and was able to successfully isolate thulium in its oxide form in 1879 at the Uppsala University, Sweden [1, 5]. 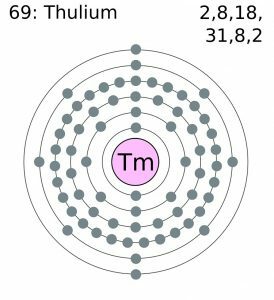 In 1911, the exact atomic weight of thulium was determined by Theodore William Richards, an American chemist who carried out 15,000 thulium bromate-recrystallizations to produce the pure form of thulium . 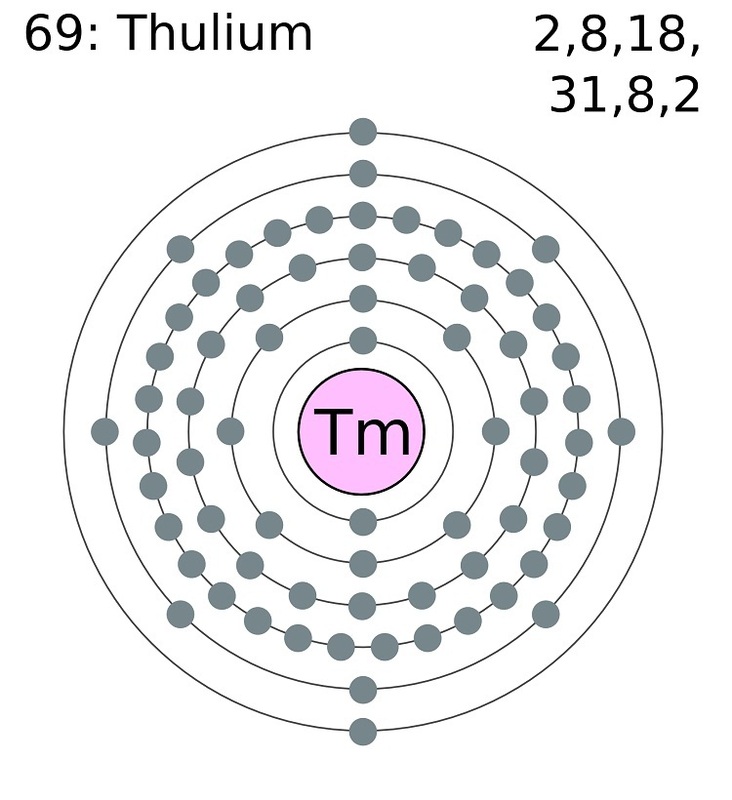 Thulium-170 (170Tm), a radioactive isotope formed by bombarding thulium in a nuclear reactor, can be used as a portable source of radiation in medical x-ray machines [1, 7]. 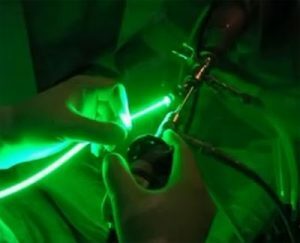 The element 69 is used as a dopant in fiber lasers for surgical applications [1, 3]. Since it emits a bluish glow when exposed to ultra-violet light, thulium is used in Euro banknotes for detecting counterfeit currency . It can also be used with other lanthanides for producing alloys . Being a non-toxic element, it does not cause any health hazards . Because of its softness and malleability, thulium can be easily cut with a knife . The element is sometimes represented by an image of a snow-covered mountain to indicate the origin of its name, suggesting a region far off to the north . 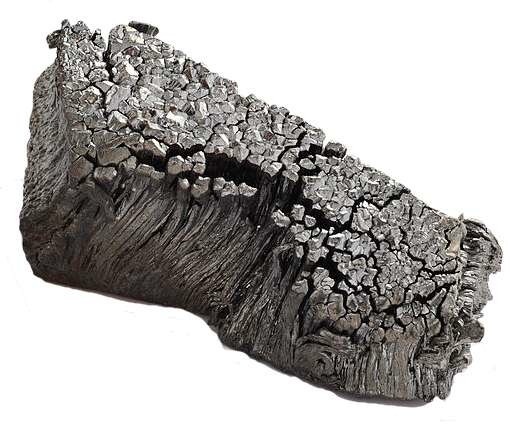 While one gram of thulium costs about $50 , a hundred gram of the element approximately costs $500-$700 [5, 8].